TWENTY-one draftees from the 2017 National Draft will get an early taste of senior football in the AFL’s newest competition – AFLX. 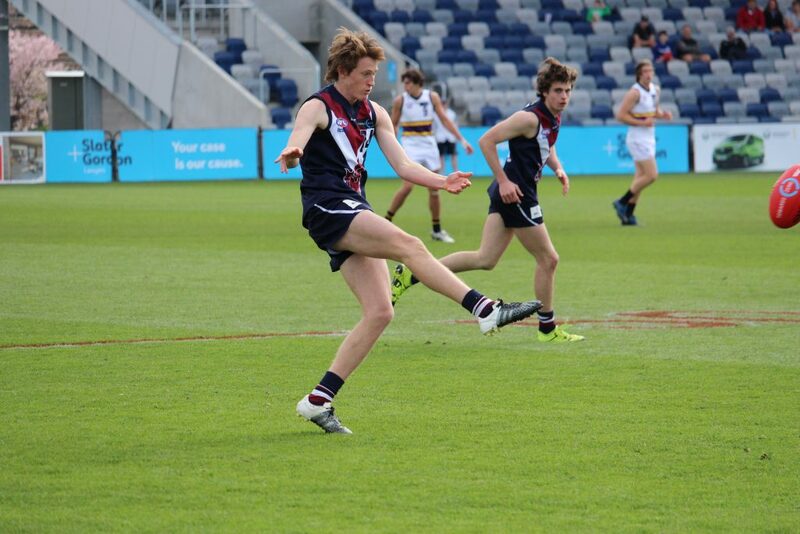 Among them are three former Sandringham Dragons, two Bendigo Pioneers and two Eastern Ranges, while Lachlan Fogarty (Western Jets), Gryan Miers (Geelong Falcons) and Jack Petruccelle (Northeren Knights) are the sole players named from their TAC Cup sides. The tournament begins on Thursday night with six sides – Adelaide, Collingwood, Fremantle, Geelong, Port Adelaide and West Coast – playing shortened 20-minute matches in a round robin format in two pools from which the winner of each pool advances to the grand final at the end of the night. Two further AFLX round robins will be played on Friday and Saturday night respectively. Played at Hindmarsh Stadium in South Australia, former Sturt players Patrick Wilson (Adelaide) and Mitchell Crowden (Fremantle) have been named, as have Jackson Edwards (Glenelg now Adelaide), Stefan Giro (Norwood now Fremantle), Dom Barry (Glenelg now Port Adelaide) and Lachlan Murphy (Adelaide SANFL now Adelaide). Mature-ager Tim Kelly (South Fremantle now Geelong), Bailey Banfield (Claremont now Fremantle), Brayden Ainsworth (Subiaco now West Coast), Jake Patmore (Claremont now Port Adelaide) and Ryan Burrows (South Fremantle now West Coast) are the West Australians involved. Along with the thrill that comes with representing an AFL club, there is the potential for a number of former teammates to face off on the elite stage. Former Sandringham Dragons Nathan Murphy and Hamish Brayshaw could go head to head when the Magpies face the Eagles, while Brayshaw could also face off against his brother Andrew if both West Coast and Fremantle make the grand final. Glenelg pair Jackson Edwards and Dom Barry could go head-to-head if the South Australian sides make the grand final, as could Eastern Ranges’ exports Jaidyn Stephenson and his former captain Joel Garner if the Magpies meet the Power in the decider. Other former teammates that could face off include Patrick Wilson and Mitchell Crowden (Sturt), Tim Kelly and Ryan Burrows (South Fremantle), and Kane Farrell and Jarrod Brander (Bendigo Pioneers). The AFLX competition is played on a ground with dimensions of between 100-120m in length and 60-70m in width, with four posts at each end and two 40m arcs. Each team will consist of 10 players per game – seven on the field and three on the bench – and there are no restrictions on rotations. No marks will be paid on backwards kicks (except in the forward 40m area) and the last touch out of bounds is a free kick. Kick-ins will occur after each score – even goals – while at least two players from each team must start each quarter inside each 40m arc and any deliberate rushed behinds will result in a free shot to the opposition team from the forward 40m arc resulting in a potential 10-point goal.